Conditioning jows are for the use with specialized training to toughen and strengthen specific areas of the body such as the fingers, hands, arms, legs, or torso. For more specific information on conditioning exercises via the our training hall. Listed below is a brief description of the 5 Elements Conditioning Training Stages. Fire formulas are the 1st stage liniments because they are used for opening up the physical channels in the hands and fingers. These liniments are hot in general and generate strong heat to open and purify the acupuncture meridians in the hands for increasing striking power. It is also used for increasing protective Wei Chi which keeps the skin soft, by circulation of the blood to wash away damaged cells that are badly damaged or destroyed so as to carry away through normal bodily functions, and help by preventing calluses from forming. 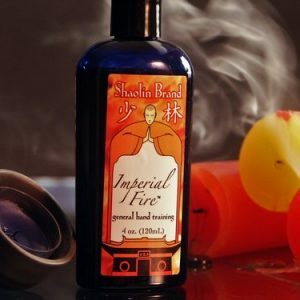 This type of liniment is sometimes called a Shao Yang activator and is used in the 1st stage training in the finger training. It is said by respected Chinese Masters that these liniments should be used for at least 6 months to 1 ½ years depending on which training regime you are performing. 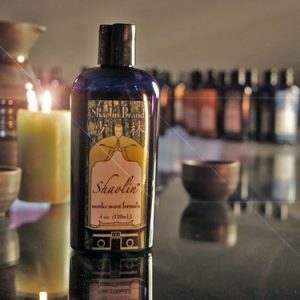 While using these hot liniments you will start to feel the increase of Yang Chi energy with continued training in times when you are not actively training, you will feel some heat in the hands for no reasons, however this is a good sign for you are gaining access to a much deeper level of energy. The 2nd stage of finger training is the use of a Yin liniment or a cold liniment which is known as Water training. This liniment causes the Chi to condense deeper into the bones and bone marrow. Masters have said that only after the energy or the acupuncture meridians are opened and free of obstructions can the chi condense and be driven deeper into the levels of the hands. With the finger training and the 2nd level liniment it condenses and deepens the heat which has been built up by the hot liniment and condenses the energy but also allows more chi to flow to this area. It is said that though the effects of diligent training from the hot liniments is subdued, that it is more subdued in the 2nd stage and not eradicated. Since the cold liniments create such an increase in the fingers for its ability to retain heat or chi that it is primarily for finger training at this stage which will not cause any energy stagnation. The 3rd stage in the finger training is the Wood liniment and is also cold. Training at this stage is turned towards the internal methods with tensing the fingers, hands, and arms which derived for the controlled exertion with the Taoist breathing techniques. These liniments are associated with extending ones energy not only into the ground but also sending it through the tips of the fingers at any time it should be necessary to do so. These liniments are strictly applied at the onset of training and the energy derived from these bordering on what Taoist call “Mysterious Chi”. The 4th stage of finger hand training is the Metal cold liniment. The essences of this liniment are associated with the skin as this is the domain of metal. These liniments are said to be uncommon in that like the hot liniments, it opens up the flow of energy along the acupuncture meridians. The Chi of these liniments produce s little or no heat which is discernibly felt. 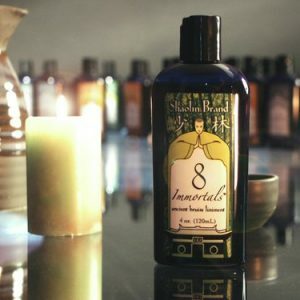 The energy at this level when used with this type of liniment is beginning to become more refined, and creates a feeling of radiating outward from the palm in general. It is said that these liniments first condition the hands to prevent the skin from becoming calloused and insensitive. Then in the later stages more chi energy is brought up into the hands and prevents uncommon energy problems like knots, stagnation and constricted flow. Some of these later liniments coat the hands in a protective sheath that sinks deep into the pores and helps focus an incredible amount of power into a strike. 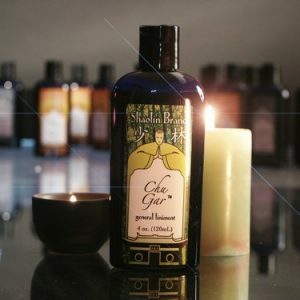 The 5th stage of training is said to be the Earth liniment, which is a culmination of all the other elements not a separate but a complementary of force and power. Liniments associated with this type of training increases the concentration of chi condensed in the fingers, hands, and fist, continually strengthening them. These liniments open the Luo channels that originate in the joints and supply constructive energy to protect the hands. Continued training will temper the hand, pushing energy inside the muscles and sinews that lie along the bone. Then the chi is condensed in the marrow. This is the original method that gives the fighting styles. Like Eagle Claw, Phoenix Eye or Dim Mak their internal power.